gcc_sales has no other items for sale. We use the default payment processor provided by ebay which accepts PayPal, Visa, MC, American Express and Discover. Click the pay now button located on the auction page, in your email, and in your myebay/purchases section and follow the on screen instructions. Please contact bay if you experience problems using they're system. 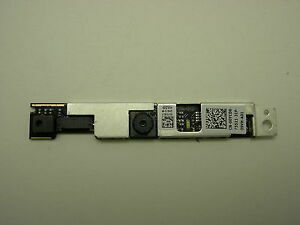 This is the original OEM web cam just like the one that came in my Dell Inspiron 15R SE 7520. It was pretty easy to replace the original which got very blurry after a few years. It is not the greatest web cam in the world, but I don't need it to be. For $3.45 I can't complain.